Michael & Co. Inc., has been in business since 1980. We Pride ourselves on customer service and believe it has led to the success of our business. We understand the complex and diverse society we are living in and want to give each customer the personal attention they deserve. The Silicon Valley runs at the speed of light, and we understand that time is valuable, so we want to make your experience with us as enjoyable as possible. You may have seen our name in any of the following places: The Bay Area Consumers Checkbook, San Jose Mercury News Articles, Willow Glen Resident “Best of”, or the AAA list of approved service shops at www.csaa.com. Michael & Co. is a full service automotive repair facility that can handle all of your automotive needs. Properly repairing today’s complex vehicles requires more knowledge and specialized equipment than ever before. Our Factory Trained , ASE, and I-Car Certified Technicians have been insuring high quality automotive repairs for more than 33 years. We have state of the art equipment that will keep your car running its best. Michael & Co. stands behind our automotive repairs. We offer a 15 month or 15,000 mile warranty on all Mechanical repairs. Our Body Shop offers a lifetime warranty against bodywork and/or paint defects. Michael & Co. will make your service experience as convenient as possible by offering same day service and a FREE shuttle service. You will find our prices very competitive and our staff friendly and helpful. We want to help you maintain your car to avoid costly vehicle repairs that could be prevented with regular maintenance. 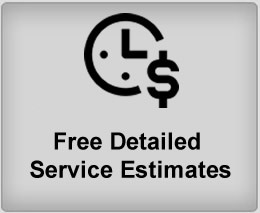 All of our maintenance services are created specifically for your vehicle by make, model and year. Our service packages can be custom tailored with your vehicle’s needs and history in mind. To maximize our capabilities and get you in and out as conveniently as possible, we take appointments for oil changes, tire rotations, new and used vehicle inspections as well as our regular services. Please call ahead. Without an appointment, our services are available on a first-come, first-served basis, assuming that those with appointments will have priority. Michael & Co. is open Monday – Friday from 7:30am to 6:00pm. To set up an appointment, call 408-286-2988. We also have an early bird drop off for those customers that our hours cannot accommodate. Here at Michael & Company, Inc, we know that Silicon Valley runs at the speed of light. We also understand that your time is valuable. That’s why we want to make your experience with us as enjoyable as possible. Our warranty assures you that you will travel farther with less concern than ever before, and that your vehicle will get the attention it needs when and how you want it. Michael & Co. is always here to listen to our customers, if you have any suggestions and/or comments we want to hear them. We truly appreciate our customers and strive to achieve higher goals. Michael & Co. currently services several fleet accounts. For our fleet accounts we offer free pick up and delivery as well as 5% off total bill if paid within 30 days from the date of the invoice. Thank you, from the entire staff of Michael & Company, Inc.